It’s coming up to the end of the year, when we’d usually schedule a major Carbon Design System release. The team is going to do things a little differently this time around. Since October, we’ve had an “Experimental” section at carbondesignsystem.com. These new components, elements and patterns build on the updated IBM Design Language, are the next step for the design system, and a major design evolution. In our next major release, these “experimental” resources will be production-ready. This is a more significant change than usual, so we want to keep everyone informed of our plans. This work isn’t ready for production use, but we want to give you an early preview of what’s coming. As always, we encourage feedback and contributions. During the alpha availability, we’ll be making updates, adding documentation and guidance. The scope of the release is subject to change. In the second half of January, we’ll upgrade our alpha version into a beta release. Which will continue to be available at next.carbondesignsystem.com. Designers and developers will be able to use these resources with more confidence. The beta version will confirm the scope of the production release. We’ll provide expanded guidance, and updated components, elements, and other resources. If you’re using a previous version of Carbon, we’ll have more help on transitioning to v10. You can also expect significant design changes to the Carbon Design System website. In the early Spring we’ll announce the full production release of Carbon v10. We aim to do this by IBM Think 2019. The updated website design and content will be live by Think (even if other resources are still in beta). This will coincide with updates to the IBM Design and IBM Design Language websites. We’ll communicate the release, and offer sessions providing transition and adoption guidance. 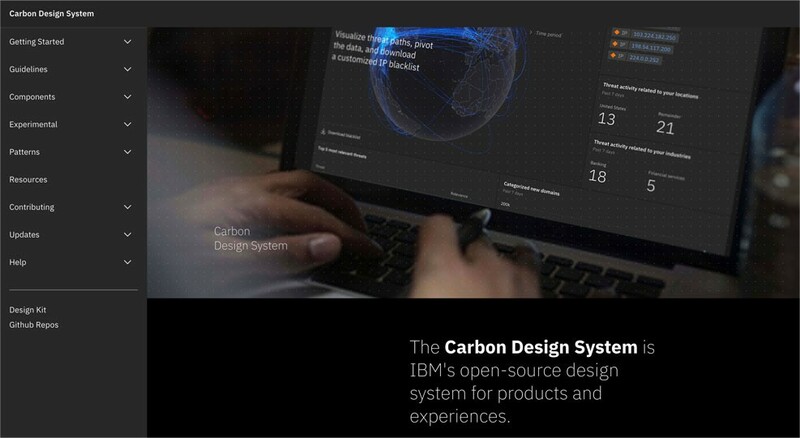 You might also see a change to the “Carbon” brand as we’ll be more closely integrated with other IBM Design guidance, and the updated IBM Design Language. But even if we change our name, we’ll still be open-source and community-driven. After Carbon v10, we expect to move to a Spring/Fall release schedule. In Summer/Winter we’ll be providing developer and designer previews. So you’ll always know what’s coming down the line in the next release. If you have any questions, we always want you to reach out. Submit issues in our repos (or contribute code). Email us at carbon@us.ibm.com, or contact us at the @_carbondesign Twitter handle. Anecdotes masquerading as wisdom. UX Dev Manager at IBM. Texas based Brit. A little bit hipster. I like cocktails. Married above myself ❤. Words my own.